At WNY Cupola, our main goal is to provide a high quality product at a reasonable price to bring the strongest customer satisfaction. Our experience and dedication to every detail has solidified us as one of best of cupola providers in the Western New York area. We believe in complete customer satisfaction and the attraction of a well designed cupola. That is why we put the necessary time and attention into each cupola we sell. Whether it’s making sure you get exactly the color you need or choosing the right weathervane, rest assured that when you work with us, you are working with people who will get the job done quickly, reliably, and at your convenience. We pride ourselves in the quality of our workmanship. We use the top materials and best construction practices to make sure that our cupolas will stand the test of time. We invite you to view the wide variety of cupolas that we offer. We also custom design and build cupolas and bell towers to reflect your tastes and preferences. 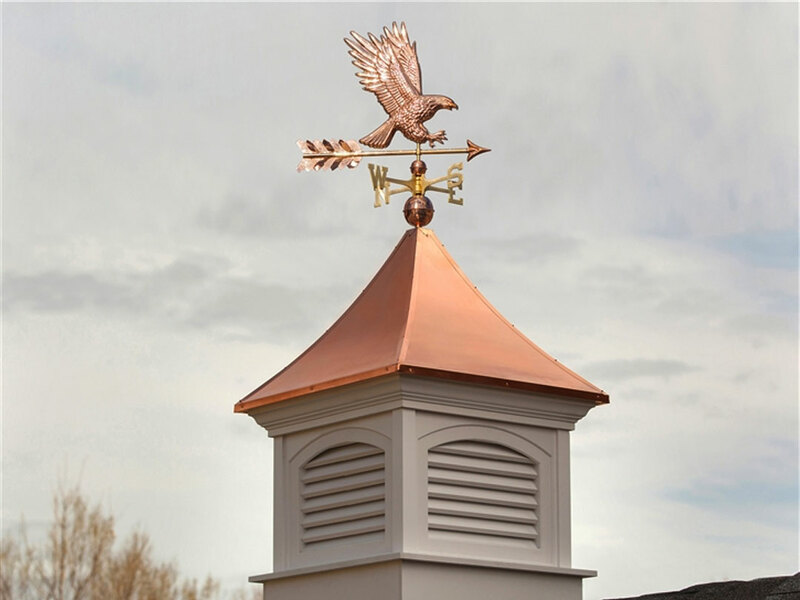 We offer copper weathervanes that will perfectly accent your cupola. It does not matter if your cupola is large or small — we have weathervanes in all sizes! Questions? 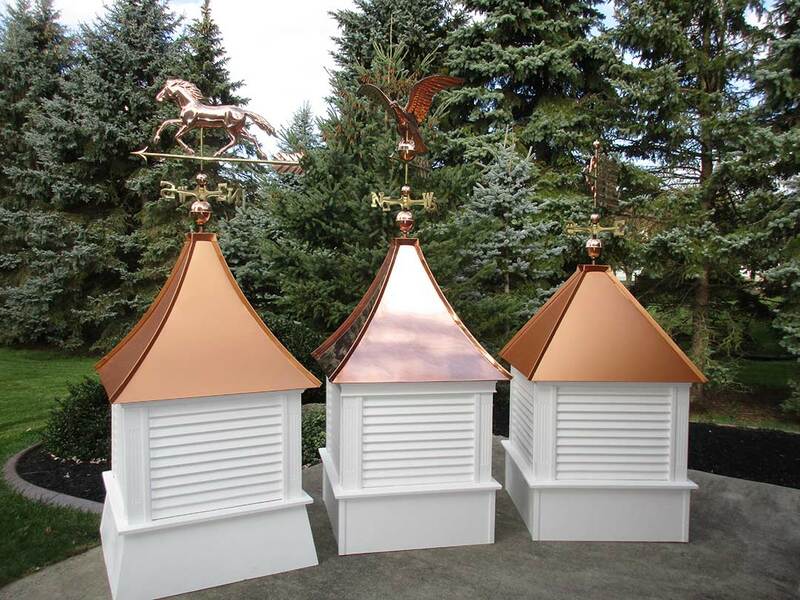 Interested in Learning More about our Custom Cupolas and Weathervanes?